ClubCorp -- The World Leader in Private Clubs® (NYSE: MYCC) -- announces financial results for its fiscal-year 2015 third quarter ended September 8, 2015. The third quarter of fiscal 2015 and fiscal 2014 consisted of 12 weeks. Year-to-date results of fiscal 2015 and fiscal 2014 consisted of 36 weeks. All growth percentages refer to year-over-year progress. Revenue increased $50.9 million, or 24.9%, to $255.4 million for the third quarter of 2015. Adjusted EBITDA1 increased $9.6 million to $54.9 million, up 21.2%, driven by solid performance at same-store clubs and from increased revenue at new and recently acquired clubs. Same Store Clubs. Same-store revenue was up $3.3 million, or 1.7%, driven primarily by higher dues revenue; while same-store adjusted EBITDA grew $1.9 million, or 3.6%, due to increased revenue and favorable operating expenses as a percentage of revenue. Same-store flow-through was 57%. New or Acquired Clubs.2 New clubs opened in 2014 or clubs acquired in 2014 and 2015 contributed revenue growth of $44.6 million and adjusted EBITDA growth of $9.7 million. Revenue increased $139.6 million to $721.2 million, up 24.0%, reflecting solid same-store revenue growth, and the addition of Sequoia Golf and several other recently acquired clubs. Adjusted EBITDA1 increased $27.1 million to $154.0 million, up 21.3%, driven by an increase in dues and upgrade revenue at same-store clubs and favorable operating expenses as a percentage of revenue at same-store clubs, and additional revenue contribution from new and recently acquired clubs. Same Store Clubs. Same-store revenue was up $13.4 million, or 2.3%, driven primarily by higher dues revenue up 3.9% and food & beverage revenue up 2.8%, offset by golf operations revenue down 0.7% year-to-date. Same-store adjusted EBITDA grew $8.4 million, or 5.5%, resulting in same-store flow-through of 62%. Additionally, year-to-date, same-store golf and country clubs (GCC) and business, sports and alumni clubs (BSA) adjusted EBITDA margins are up 80 basis points and 100 basis points to 30.1% and 18.1%, respectively. New or Acquired Clubs.2 New clubs opened in 2014 or clubs acquired in 2014 and 2015 contributed revenue growth of $118.1 million and adjusted EBITDA growth of $25.9 million. Eric Affeldt, president and chief executive officer: "We delivered another record quarter with strong same-store growth in both dues and food and beverage revenue, and our golf operations revenue improved slightly after two consecutive quarters of decline. Our acquisitions are performing well with revenue surpassing our underwriting estimates, and we anticipate performance at these clubs to continue to ramp. Additionally, we have decided to accelerate our reinvention at several clubs acquired with Sequoia Golf. We are not increasing the total reinvention capital committed to Sequoia clubs, but instead we are pulling forward investments that we had planned for 2016. We believe this added investment in 2015 will minimize member disruption as we head into 2016 and continue to build on a sound foundation for future growth. We look forward to a strong finish to this year, and continued execution by all members of our team." Curt McClellan, chief financial officer: "We delivered strong revenue and adjusted EBITDA growth this quarter driven by continued execution of our three-pronged strategy. On the organic growth front, we continue to see expansion of our O.N.E. offering and similar programs with increased member participation now at 49%. We continue to execute our reinvention strategy and we are accelerating reinvention at several of our Sequoia clubs in anticipation of next spring's golf season. Total 2015 ROI and expansion capital of $60 million includes approximately $10 million of accelerated capital investment for the reinvention of Sequoia clubs. Our drive to $300 million in adjusted EBITDA by the end of 2018 remains unchanged. As a reminder, this target hinges on our ability to achieve 10-15% cash on cash returns on nearly $390 million of capital employed on our 2014 and 2015 acquisitions. Additionally, this target assumes no incremental acquisitions. We have seen nothing to change our assumptions here, and remain confident in the execution of this strategy." GCC total revenue of $211.0 million for the third quarter of 2015 increased $46.2 million, up 28.0%, compared to the third quarter of 2014. GCC adjusted EBITDA was $58.1 million, an increase of $11.3 million, up 24.2%. GCC adjusted EBITDA margin was 27.6%, a decline of 80 basis points versus the third quarter of 2014 due primarily to lower adjusted EBITDA margins at recently acquired clubs. Same-store revenue increased $2.5 million, up 1.5%, driven primarily by increases in dues revenue up 3.4%, and food & beverage revenue up 1.4%, offset by a decline in other revenue. Golf operations revenue was up 0.1% year-over-year. Same-store adjusted EBITDA increased $1.9 million, up 4.1%, due largely to increased dues and food and beverage revenue, and favorable variable payroll expenses as a percentage of revenue. Same-store adjusted EBITDA margin improved 80 basis points to 29.6%. Recently acquired GCC clubs contributed revenue growth of $43.7 million and adjusted EBITDA growth of $9.4 million. BSA revenue of $40.6 million for the third quarter of 2015 increased $1.7 million, up 4.3%, compared to the third quarter, 2014 driven by growth in both same-store and new and acquired clubs. BSA adjusted EBITDA was $6.0 million, an increase $0.3 million, up 5.0%. BSA adjusted EBITDA margin was 14.8%, a 10 basis point margin improvement versus the third quarter 2014. Same-store revenue increased $0.8 million, up 2.2%, driven by increases in dues revenue and a slight increase in food and beverage revenue. Same-store adjusted EBITDA was flat versus the third quarter 2014. Same-store adjusted EBITDA margin declined 30 basis points to 15.0% due primarily to higher payroll related expenses as a percentage of revenue. New or recently acquired BSA clubs contributed revenue of $0.9 million and adjusted EBITDA of $0.3 million. O.N.E. and Other Upgrades. Including memberships acquired with the Sequoia Golf acquisition, as of September 8, 2015, approximately 49% of our memberships were enrolled in O.N.E. or similar upgrade programs, as compared to approximately 39% of our memberships that were enrolled in similar upgrade programs as of December 30, 2014. As of September 8, 2015, the Company offered O.N.E. at 152 clubs. Reinvention. In 2015, ClubCorp plans to invest a total of approximately $60 million on ROI and expansion capital. This amount includes approximately $10 million of planned reinvention capital for Sequoia clubs that is being pulled forward from 2016 into 2015. As of September 30, 2015, the Company had completed reinvention elements at 19 existing and recently acquired clubs, and has another 13 clubs in active construction, and several more in design or awaiting permitting. Combined, the Company is on track to add reinvention elements at approximately 30 clubs in 2015. Acquisitions. 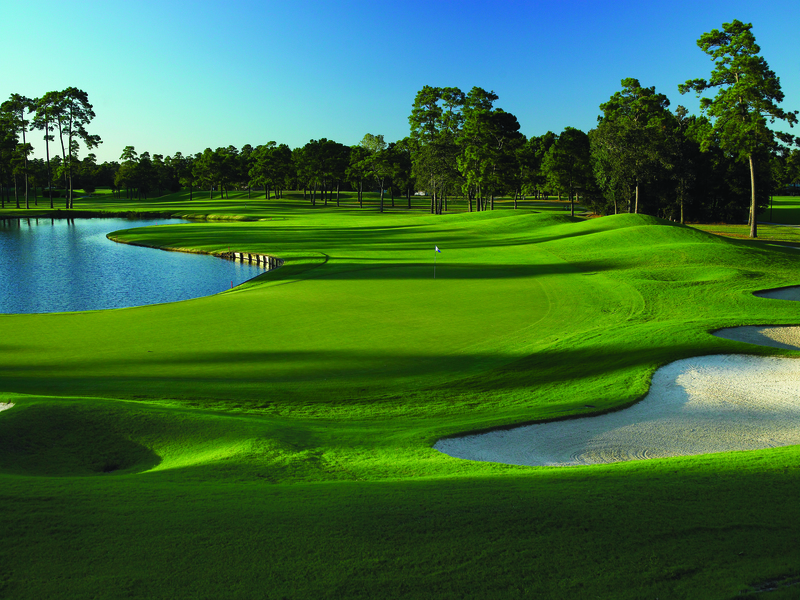 Year-to-date in 2015, ClubCorp has added eight clubs via acquisition with two properties just north of Chicago, Illinois: Ravinia Green Country Club and Rolling Green Country Club; and six clubs in the southeast United States: Bermuda Run Country Club in Bermuda Run, North Carolina, Brookfield Country Club in Roswell, Georgia, Firethorne Country Club in Marvin, North Carolina, Ford's Colony Country Club in Williamsburg, Virginia, Temple Hills Country Club in Franklin, Tennessee, and Legacy Golf Club at Lakewood Ranch in Bradenton, Florida. As of September 8, 2015, ClubCorp owns or operates 158 golf and country clubs representing approximately 200 18-hole equivalents. Additionally, the Company owns or operates 48 business, sports and alumni clubs. Membership. Total club memberships, excluding managed clubs, as of September 8, 2015 were 175,162, an increase of 29,528, up 20.3%, over memberships at September 9, 2014. Same-store golf and country club memberships, excluding managed clubs, decreased 0.1%, while total golf and country club memberships, excluding managed clubs, increased 32.8%. Same-store business, sports and alumni club memberships, excluding managed clubs, declined 1.4%, while total business, sports and alumni club memberships, excluding managed clubs, increased 0.5%. Total club memberships, including managed clubs, as of September 8, 2015 were 184,891. Levered Free Cash Flow.1 Levered free cash flow over the last four quarters was $108.2 million, an increase from $99.2 million a year ago. The following guidance is based on current management expectations. All financial guidance amounts are estimates and subject to change, including as a result of matters discussed under the "Forward-Looking Statements" cautionary language which follows, and the Company undertakes no duty to update its guidance. For fiscal year 2015, the Company is tightening its outlook on revenue and adjusted EBITDA. The Company now anticipates revenue in the range of $1.04 billion to $1.06 billion and adjusted EBITDA in the range of $232.0 million to $236.0 million. The current outlook implies year-over-year revenue growth of 18-20% and year-over-year adjusted EBITDA growth of 18-20%. As a reminder, the Company has a stated objective to reach $300.0 million in annual adjusted EBITDA by the end of 2018 through the combination of organic growth and reinvention. Additionally, this target assumes no incremental acquisitions. The Company continues to reaffirm this target with no changes to the underlying assumptions as presented on our first quarter earnings release, dated April 30, 2015, and represented in today's earnings presentation that may be found on our investor relations website at ir.clubcorp.com. The Company's earnings presentation is available at ir.clubcorp.com. The Company will hold a conference call on Thursday, October 15, 2015 at 10:00 a.m. CDT (11:00 a.m. EDT) to discuss its third quarter 2015 financial results. The conference call will be broadcast live and can be accessed via the Company's website at ir.clubcorp.com. To participate in the teleconference, please call in a few minutes before the start time: 877-317-6789 for U.S. callers, 866-605-3852 for Canadian callers and 412-317-6789 for international callers and reference the ClubCorp third quarter conference call (confirmation code 10072885) when prompted. For those unable to participate in the live call, a replay of the earnings conference call will be available approximately one hour after the call through November 15, 2015. To access the replay dial: 877-344-7529 for U.S. callers, 855-669-9658 for Canadian callers and 412-317-0088 for international callers (confirmation code 10072885). Additionally, a webcast replay will be available at ir.clubcorp.com. EBITDA is defined as net income before interest expense, income taxes, interest and investment income, and depreciation and amortization. Adjusted EBITDA is defined as EBITDA plus or minus impairments, gain or loss on disposition and acquisition of assets, losses from discontinued operations, loss on extinguishment of debt, non-cash and other adjustments, equity-based compensation expense and an acquisition adjustment. The acquisition adjustment to revenues and Adjusted EBITDA within each segment represents estimated deferred revenue using current membership life estimates related to initiation payments that would have been recognized in the applicable period but for the application of purchase accounting in connection with the acquisition of ClubCorp, Inc. in 2006 by affiliates of KSL and the acquisition of Sequoia Golf on September 30, 2014. Adjusted EBITDA is based on the definition of Consolidated EBITDA as defined in the credit agreement governing the Secured Credit Facilities and may not be comparable to similarly titled measures reported by other companies. In addition to Adjusted EBITDA, we are providing a Levered Free Cash Flow (FCF) metric as an additional non-GAAP measure. We believe a FCF metric aids investors in their evaluation of the Company's ability to generate cash, and determine the amount of capital available for general corporate purposes including, but not limited to discretionary growth CAPEX (e.g., reinventions or acquisitions), or cash dividends. This earnings release and accompanying financial tables include supplemental non-GAAP financial measures titled Adjusted EBITDA and Levered Free Cash Flow. Adjusted EBITDA and Levered Free Cash Flow are not determined in accordance with GAAP and should not be considered in isolation, more meaningful than or as a substitute for a measure of performance prepared in accordance with GAAP and are not indicative of net income or loss as determined under GAAP. Non-GAAP financial measures have limitations that should be considered before used as measures to evaluate the Company's financial performance. Adjusted EBITDA and Levered Free Cash Flow, as presented, may not be comparable to similarly titled measures reported by other companies due to varying methods of calculation. The financial statement tables that accompany this press release include a reconciliation of historical non-GAAP financial measures to the applicable and most comparable GAAP financial measure. The Company has not reconciled Adjusted EBITDA guidance included in this press release to the most directly comparable GAAP measure because this cannot be done without unreasonable effort. In addition to historical information, this press release contains statements relating to future results (including certain projections and business trends) that are "forward-looking statements" within the meaning of Section 27A of the Securities Act of 1933, as amended, and Section 21E of the Securities Exchange Act of 1934, as amended, which are subject to the "safe harbor" created by those sections. These forward-looking statements can be identified by the fact that they do not relate strictly to current or historical facts and often include words such as "may", "should", "expect", "intend", "will", "estimate", "anticipate", "believe", "predict", "potential" or "continue", or the negatives of these terms or variations of them or similar terminology in this press release and any attachment to identify forward-looking statements. All statements, other than statements of historical facts included in this press release, including statements concerning plans, objectives, goals, beliefs, business strategies, future events, business conditions, results of operations, financial position and business outlook, earnings guidance, business trends and other information are forward-looking statements. The forward-looking statements are not historical facts, and are based upon current expectations, estimates and projections, and various assumptions, many of which, by their nature, are inherently uncertain and beyond management's control. All expectations, beliefs and projections are expressed in good faith and the Company believes there is a reasonable basis for them. However, there can be no assurance that management's expectations, beliefs and projections will result or be achieved and actual results may vary materially from what is expressed in or indicated by the forward-looking statements. These forward-looking statements are subject to a number of risks and uncertainties that could cause actual results to differ materially from the forward-looking statements contained in this press release, including among others: various factors beyond management's control adversely affecting discretionary spending, membership count and facility usage and other risks, uncertainties and factors set forth in the sections entitled "Risk Factors" and "Cautionary Statement Regarding Forward-Looking Statements" in the Company's Annual Report on Form 10-K for the fiscal year ended December 30, 2014 and "Risk Factors" and "Forward-Looking Statements" in its Quarterly Report on Form 10-Q for the period ended September 8, 2015. Although the Company believes that these statements are based upon reasonable assumptions, it cannot guarantee future results and readers are cautioned not to place undue reliance on these forward-looking statements, which reflect management's opinions only as of the date of this press release. There can be no assurance that (i) the Company has correctly measured or identified all of the factors affecting its business or the extent of these factors' likely impact, (ii) the available information with respect to these factors on which such analysis is based is complete or accurate, (iii) such analysis is correct or (iv) the Company's strategy, which is based in part on this analysis, will be successful. Except as required by law, the Company undertakes no obligation to update or revise forward-looking statements to reflect new information or events or circumstances that occur after the date of this press release or to reflect the occurrence of unanticipated events or otherwise. Readers are advised to review the Company's filings with the SEC (which are available from the SEC's EDGAR database at www.sec.gov and via the Company's website at ir.clubcorp.com/SEC). The definitions and basis of presentation for financial measures used in this press release, including EBITDA, Adjusted EBITDA and same-store measures, are discussed more fully in the Company's Annual Report on Form 10-K for the fiscal year ended December 30, 2014 and in its Quarterly Report on Form 10-Q for the period ended September 8, 2015. This press release should be read in conjunction with such Annual Report and Quarterly Report. This press release includes metrics entitled Adjusted EBITDA and Levered Free Cash Flow that are not calculated in accordance with accounting principles generally accepted in the U.S. ("GAAP"). See the "Statement Regarding Non-GAAP Financial Measures" section of this press release for the definition of Adjusted EBITDA and Levered Free Cash Flow and the reconciliation later in this press release to the most comparable financial measure calculated in accordance with GAAP. New or Acquired Clubs include those clubs that the Company is currently operating as of September 8, 2015, that were opened, acquired or added under management agreements in the thirty-six weeks ended September 8, 2015 and the fiscal year ended December 30, 2014 consisting of: The Clubs of Prestonwood, Tournament Players Club ("TPC") Michigan, TPC Piper Glen, Baylor Club, Oro Valley Country Club, River Run Golf & Country Club, Sequoyah National Golf Club, Ravinia Green Country Club, Rolling Green Country Club, Bermuda Run Country Club, Brookfield Country Club, Firethorne Country Club, Temple Hills Country Club, Ford's Colony Country Club, Legacy Golf Club at Lakewood Ranch and 30 owned golf and country clubs, three leased golf and country clubs, seven managed golf and country clubs and one leased sports club acquired through the Sequoia Golf acquisition. (1) Percentage changes that are not meaningful are denoted by "NM." (2) New or Acquired Clubs include those clubs that the Company is currently operating as of September 8, 2015, that were acquired, opened or added under management agreements during the thirty-six weeks ended September 8, 2015 and the fiscal year ended December 30, 2014 consisting of: The Clubs of Prestonwood, Tournament Players Club ("TPC") Michigan, TPC Piper Glen, Oro Valley Country Club, River Run Golf & Country Club, Sequoyah National Golf Club, Ravinia Green Country Club, Rolling Green Country Club, Bermuda Run Country Club, Brookfield Country Club, Firethorne Country Club, Temple Hills Country Club, Ford's Colony Country Club, Legacy Golf Club at Lakewood Ranch and 30 owned golf and country clubs, three leased golf and country clubs and seven managed golf and country clubs acquired through the Sequoia Golf acquisition. (3) Same-store average membership, excluding managed club memberships, is calculated using the same-store membership count, excluding managed clubs, at the beginning and end of the period indicated. (4) Same-store dues or revenue divided by same-store average membership, excluding managed club memberships. (2) New or Acquired Clubs include those clubs that the Company is currently operating as of September 8, 2015, that were opened or added under management agreements during the twelve and thirty-six weeks ended September 8, 2015 and the fiscal year ended December 30, 2014 consisting of Baylor Club and one leased sports club which was acquired through the acquisition of Sequoia Golf. (1) Includes non-cash impairment charges related to property and equipment and intangible assets and loss on disposals of assets (including property and equipment disposed of in connection with renovations). (2) Net loss or income from discontinued operations and divested clubs that do not qualify as discontinued operations. (3) Includes loss on extinguishment of debt calculated in accordance with GAAP. (4) Includes non-cash items related to purchase accounting associated with the acquisition of ClubCorp, Inc. ("CCI") in 2006 by affiliates of KSL and expense recognized for our long-term incentive plan related to fiscal years 2011 through 2013. (5) Represents adjustments permitted by the credit agreement governing ClubCorp's secured credit facilities including cash distributions from equity method investments less equity in earnings recognized for said investments, income or loss attributable to non-controlling equity interests of continuing operations, fees and expenses associated with readiness efforts for Section 404(b) of the Sarbanes-Oxley Act and related centralization of administrative processes, acquisition costs, debt amendment costs, equity offering costs, other charges incurred in connection with the ClubCorp Formation (as defined in our Annual Report on Form 10-K filed with the SEC on March 12, 2015) and management fees, termination fee and expenses paid to an affiliate of KSL. (6) Includes equity-based compensation expense, calculated in accordance with GAAP, related to awards held by certain employees, executives and directors. (7) Represents estimated deferred revenue using current membership life estimates related to initiation payments that would have been recognized in the applicable period but for the application of purchase accounting in connection with the acquisition of CCI in 2006 and the acquisition of Sequoia Golf on September 30, 2014. (1) See the Adjusted EBITDA reconciliation in the preceding "Reconciliation of Non-GAAP Measures to Closest GAAP Measure" table. (2) Interest on long-term debt excludes accretion of discount on member deposits, amortization of debt issuance costs, amortization of term loan discount and interest on notes payable related to certain realty interests which we define as "Non-Core Development Entities".